Religious Education at Meynell is taught to allow pupils to understand a range of religious and world views. Pupils will be able to express ideas and insights of their own as well as exploring the human questions which religions address. The agreed teaching syllabus for RE in Sheffield (SACRE) is used and taught as a stand alone lesson with cross-curricula links being made where appropriate. RE is assessed through the lesson observations, book scrutiny, pupil interviews, teacher feedback and wider curriculum moderations across cluster schools. At Meynell we aim to make a positive contribution to the spiritual, moral and cultural development of each child. The religions that we study are: Judaism, Sikhism, Christianity, Islam and Hinduism. Different aspects of each religion are explored through discussion, drama and visits. We also look at how these impact on daily life for communities and individuals. Please find our attached RE subject booklet. Please find the locally agreed syllabus. 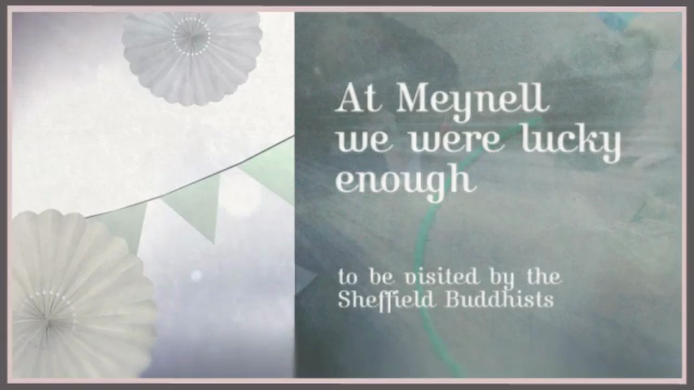 We were very lucky to spend two days with the Sheffield Buddhist Centre. It was very interesting to learn all about Buddhism and apply the practical experience to our RE learning.